There is little guaranteed to strike more emotion in an employee than the words, “mandatory training”. Imagine being the person delivering it? Simply take all 249 facts in the guideline and read it out, in slightly more time than is allotted. That’s it covered, surely? No. This is The Reichstag covered. One needs to identify the purpose of the presentation. That purpose reflects not those of the speaker or the organisation but of the recipient. If the purpose is merely a recitation of facts, time served in front of material or even “attendance” those limited goals will be easily achieved. If however the purpose is to ensure an individual audience member is able to safely prescribe a blood transfusion, that is a whole different situation. The purpose is about the audience, not the organisation. This subtle but actually huge difference will affect the whole p cubed value of a presentation. Freed from simply listing facts, the presenter can construct a presentation with a single message and at the same time direct the audience to appropriate resource to view after the event. This p1 can focus on perhaps common mistakes, difficulties, priorities, or challenges of prescribing a transfusion but highlighting the issues the support the whole. The supporting p2 need then not be text heavy and its delivery p3 is much more engaging, audience focused and memorable. 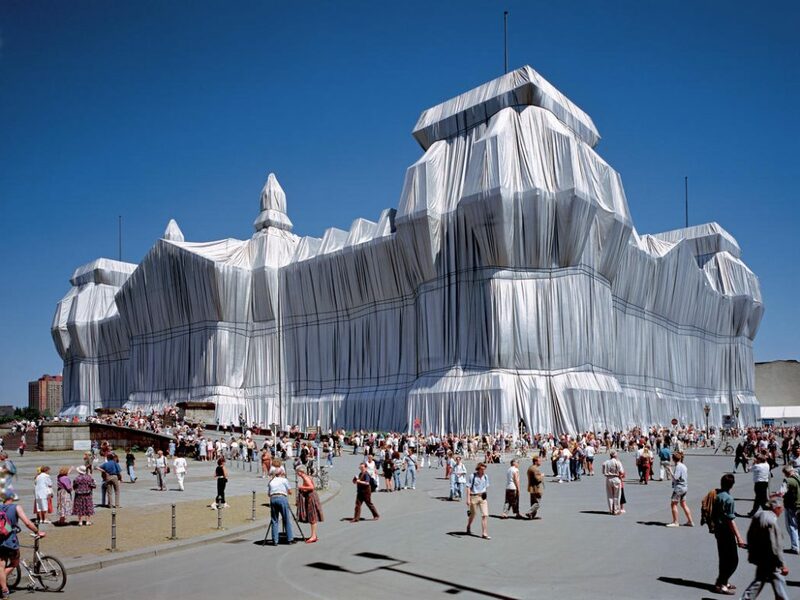 Covering the Reichstag was the aim of the artists Christo and Jeanne-Claude Javacheff, the objective was to stimulate engagement and debate.